“Tech Providers Will Pay Far More Attention to Sales Enablement” was one of “10 Fearless Predictions for B2B Tech Sales and Marketing in 2017” from Gartner technology marketing analyst Todd Berkowitz. Revisiting his predictions at the end of 2017, he decided that he had been “completely right” with that one. However, “Content Creation Will Re-Balance With More Focus Towards Mid and Late-Funnel” he deemed only “somewhat right.” While Gartner clients all seemed convinced that influencing buyers later in the process is critical, most admitted they had not shifted their content creation priorities. In the course of arguing the need for mid- and late-funnel content, Berkowitz recommends emphasizing case studies, white papers, implementation and how-to guides because “you can only create so many eBooks and videos.” Relegate all video to the top-of-the-funnel? Really? For starters, most tech companies already publish webinars and subject matter expert presentations that some buying team members are willing to watch later in the sales process, however dull they look to the rest of us. But the opportunity for different kinds of video content that doesn’t come across as marketing content is huge. 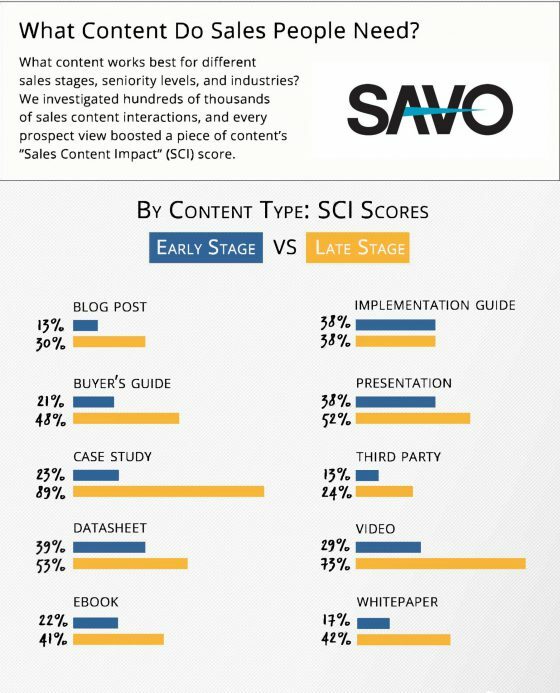 In their study What Content to Build for Sales, SAVO Group (now part of Seismic) makes it clear that tech providers who intend to “pay far more attention to sales enablement” should pay far more attention to video. The report also notes that, in spite of the impact of videos late in the sales process, videos are 10 times more likely to be shared by sales reps at the beginning of a prospect’s journey. Why? Presumably because there is a scarcity of video sales content aimed at late-stage buyers. Whatever the reason, this is clearly an opportunity for sales and marketing leaders to gain a competitive edge with new types of video for sales enablement. There is no stage of the buying process where buyers stop liking video. But at some point, prospects are beyond the need for marketing videos stuffed with product information. They need to build a business case they can sell internally. Your sales people need to help them. This is where video for sales enablement can shine: timely, appropriate, lively content that buying decision-makers can share. It’s unlikely that everyone needs to read the white paper. But it’s highly likely that building consensus around the business case would be easier if everyone got the gist of the white paper. 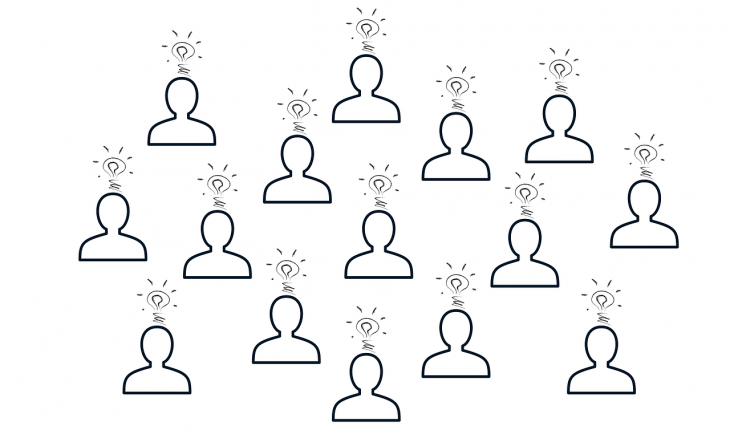 Take another look at your mid- and late-funnel content. There’s lots of content in your library intended to influence late-stage buyers. Why not turn some of it into video? Videos summarizing and highlighting your best late-stage content can help your buyers share the key messages internally to build their business case. You can sample some lively mid- and late-funnel video content based on white-paper articles, research reports, and blog posts here.